One in four non-smokers - including 14 million children - are exposed to dangerous levels of secondhand smoke, new CDC data reveal. The rate of cigarette smokers has plummeted since the late 1980s, and with it the number of people unwittingly affected by the toxic cocktail of nicotine, tobacco and more has gone down too. But new figures, published today, reveal that progress has stalled in recent years, and health officials are concerned. Secondhand smoke contains over 7,000 chemicals including about 70 that can cause cancer. Secondhand smoke is a known cause of sudden infant death syndrome, respiratory infections, ear infections, and asthma attacks in infants and children. It also paves the way to heart disease, stroke, and lung cancer in adult nonsmokers. According to the 2014 Surgeon General's Report, each year exposure to secondhand smoke causes more than 41,000 deaths from lung cancer and heart disease among non-smoking adults and 400 deaths from Sudden Infant Death Syndrome. 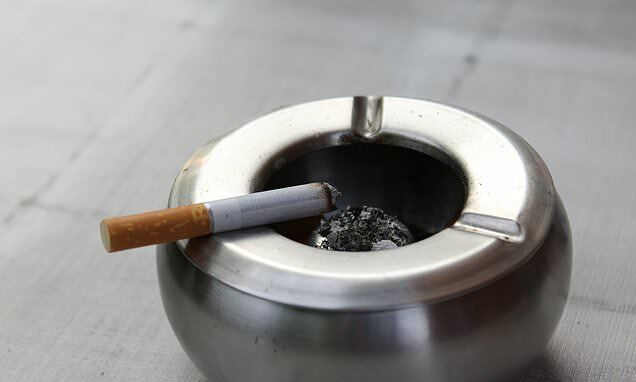 Exposure to secondhand smoke remains high for certain groups. More than a third (38 percent) of children under the age of 11 are exposed. Half of people living in poverty (48 percent), and one in four people living in rental housing (39 percent) are also exposed. That's according to findings from the National Health and Nutrition Examination Survey, released today in CDC's Morbidity and Mortality Weekly Report (MMWR). The study assessed exposure using serum cotinine, a marker of secondhand smoke found in the blood. 'We know there's no safe level of secondhand smoke exposure,' said CDC Director Robert R. Redfield, MD.